Who Else Wants to Ride the 8:55 Train to Good Health? Are You Struggling with the Fight to Lose Weight? Read this. Preamble: This blog post, and the rest you’ll see in the 8:55 Train series, are not “typical” in that you wouldn’t expect to read a journey to better personal health in a time tracking blog. But like so many experiences, they resonate with all of us in one way or another – whether personally or professionally. Meet Riley – a TSheets employee who struggles with his weight and with the help and generosity from BodyBuilding.com, Idaho Athletic Club, and TSheets is on a journey he wants to share with the world. Waking up in the morning can be a chore for even the most resolute and level headed individuals. One of the constants of my life is waking up, a simple task with such tremendous implications and obstacles. Ever think about that one morning you don’t wake up, and as the sun crests the mountains of the world you remain silent? The idea of not waking up seems so impossibly far away for many of us, but for me it is a thought I carry to my pillow every night. Though it pains me to admit, I am a statistic. The United States of America is one of the the most obese countries in the world for the size of its population. Adding to that statistic is me, Riley Zahm. I have struggled with weight loss my entire life, but only until recently have I even considered fighting back with a realistic goal. An ally in the dark shined into my heart. With the radiance of a star it gave my mind a scarlet clarity I have not known in years. It all started with TSheets, a company that promises to make time tracking easy for businesses worldwide. Their motto is “We Love Employees,” however, it is not just a saying, it is an adage and a promise. Within the seconds it takes to catch your breath I found myself having worked at TSheets for over a month. Not only was I smitten with the team I worked with, but also with what the company does as a whole. Every morning, some of the best people I have ever known gather at 8:55am to not only embrace the day and the challenges we have ahead of us, but to also make sure everyone has the support they need to reach their goals. One of my goals, when I was hired at TSheets, was to become a healthier individual. One of the ways I knew I could achieve my goal was by getting a gym membership, yet given the state of my financials, I knew it could not be a realistic option. 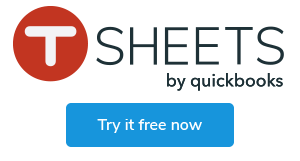 Like a hand reaching down to pull me back on my feet, TSheets was there to help me with a free gym membership to the Idaho Athletic Club. With the support of a team that would rival that of the Colosseum, I embraced the fight to take back my life. The road ahead is not going to be any Autobahn – with results taking place as fast as I can drive. It will be a marathon; not only for my body but also for my life in general. I want to be awake to see the sun crest the mountain tops in the morning. I want to be awake to take the 8:55 train to a better life. I want to be awake to tell you that you don’t always need to remain a statistic. Care to take a ride on the train with me? Let’s set our alarms.